But parades and outdoor events in December?...in Indiana?!?! Well that is unique. So unique that thousands of people year after year keep coming back to Christmas Under the Stars in Brownsburg. The town and Brownsburg Parks and Recreation Department will co-host this event for the ninth consecutive year, Dec. 5. 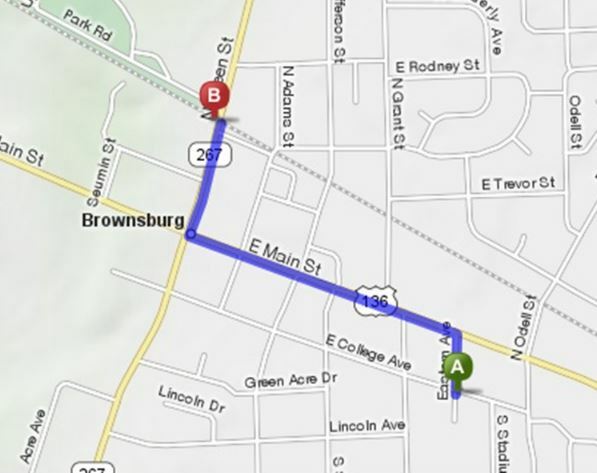 What truly makes this event special is the parade after dark that starts at 6 p.m.
More than 40 floats, horses and other parade entries light up the streets throughout Brownsburg tossing candy, playing music and overall having a great time ringing in the holiday season. And just like Macy&apos;s, Santa serves as the finale riding in on his sleigh. There is really not a bad spot along the route. The front of Town Hall is decorated and festive with music. But if you want a more low-key spot to drop your blanket and sip on hot cocoa; Brownsburg residents are very welcoming in front of their houses and businesses. One way this event brings the entire community together is through a ornament-decorating contest to name the Junior Grand Marshal each year presented by the Brownsburg Public Library. The child whose ornament gets the most votes is awarded with the honorary title and the perks that come with it including their own parade float. If your child want to enter the contest, here are the details. One of the other perks of being the Junior Grand Marshal is getting to flip the switch for this year&apos;s Town Hall holiday light display. So, even if you don&apos;t have a spot on the parade route next to Town Hall, I highly recommend walking or driving there for the post-parade activities. After the parade and lighting ceremony ends usually around 7:30 p.m., Santa heads to Eaton Hall inside Town Hall to take free pictures with children. They can write a letter to him while waiting in line that they can share with him. Last year, this line was huge. I recommend taking entertainment for the little ones. A few days later, the Brownsburg Parks and Recreation Department posts the pictures on their Facebook page for you to save and share. Definitely add this to holiday celebrations you need to experience this year. You won&apos;t get to see another lighted parade in Hendricks County until next year.